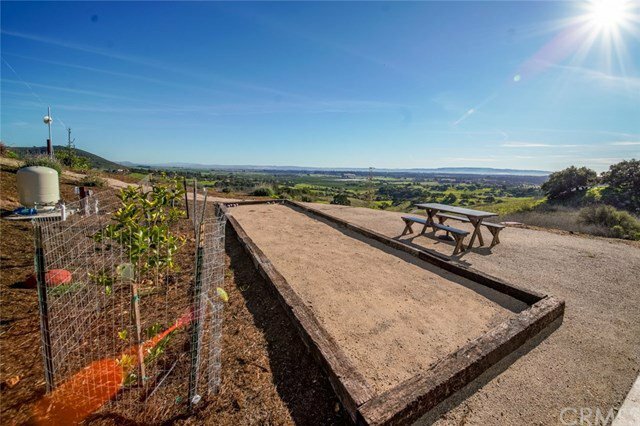 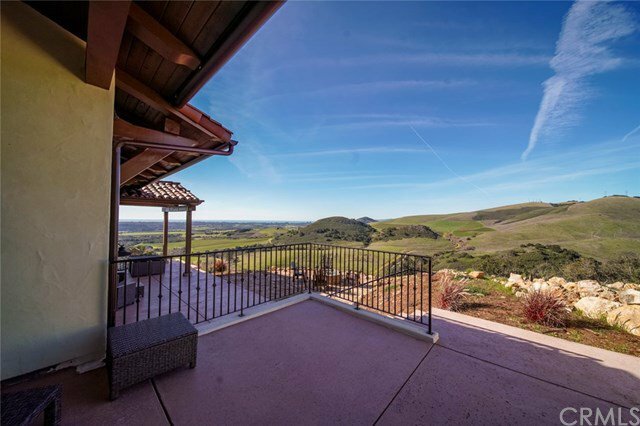 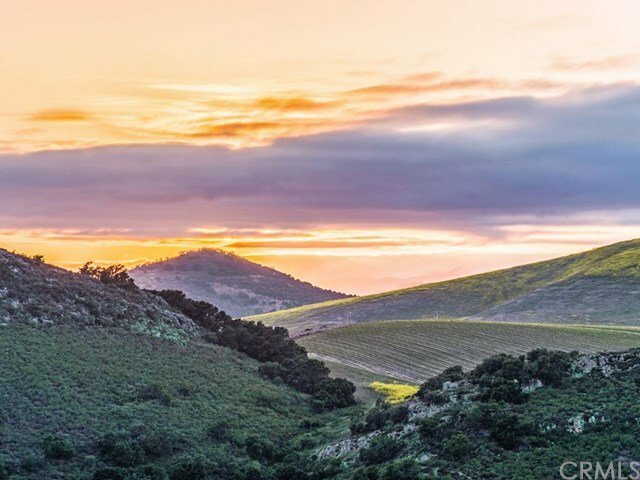 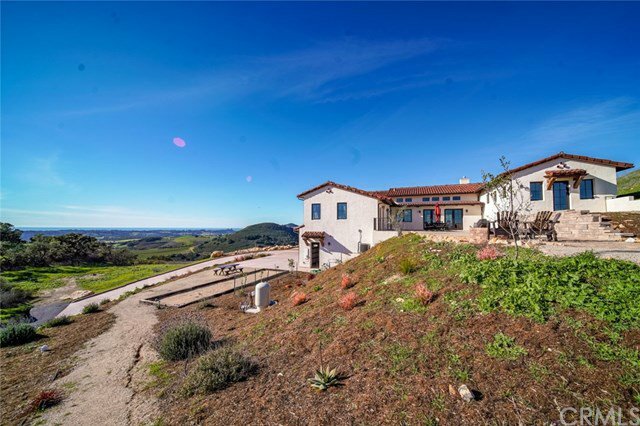 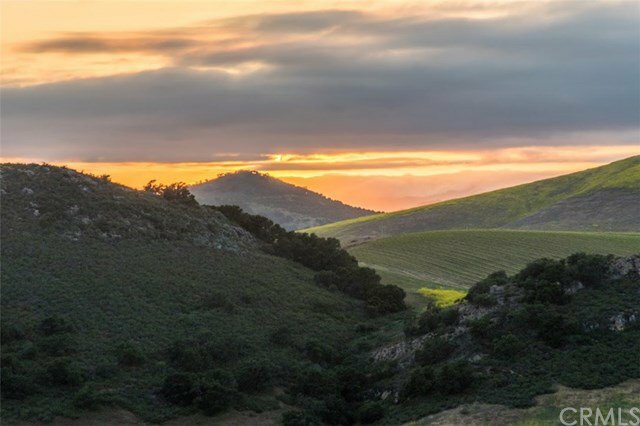 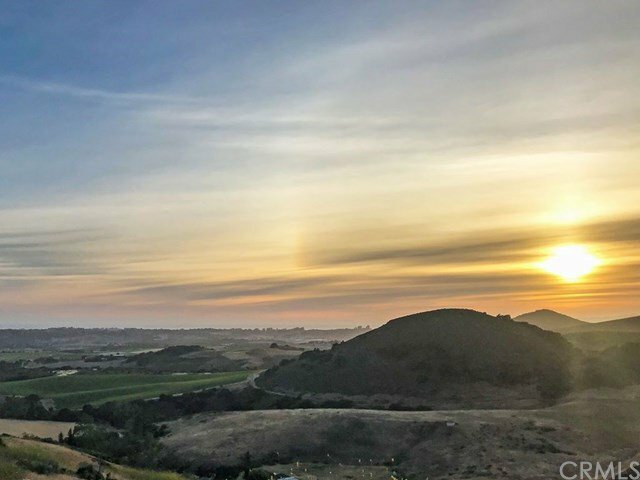 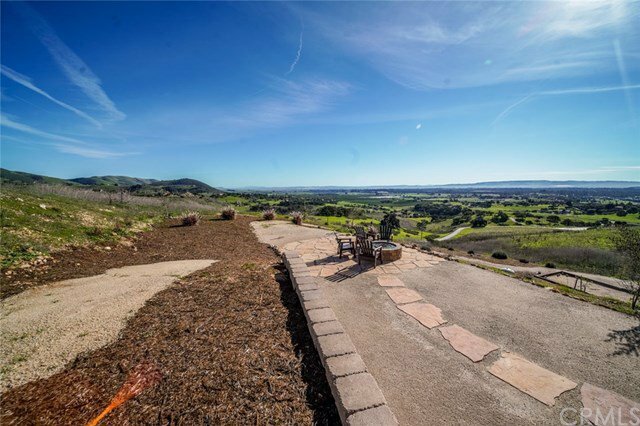 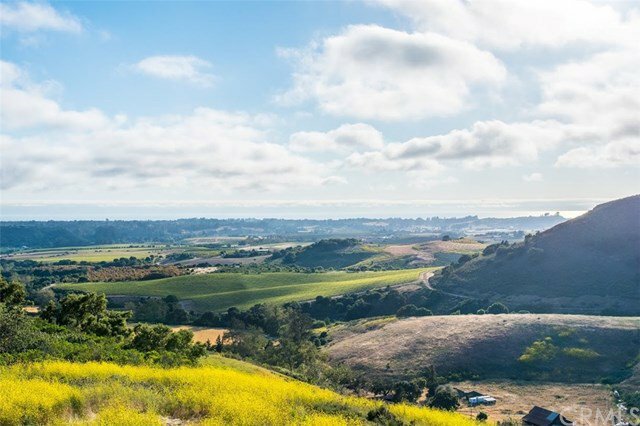 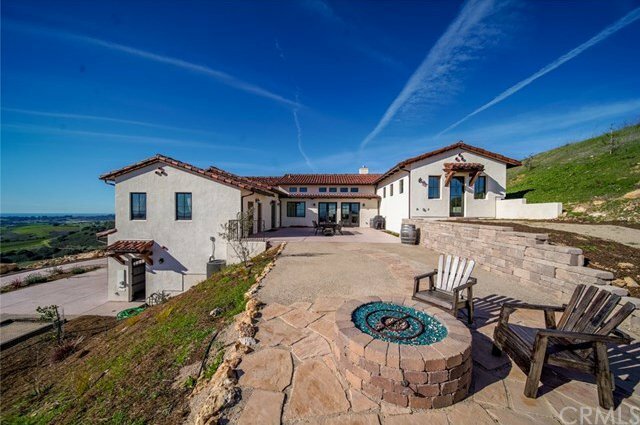 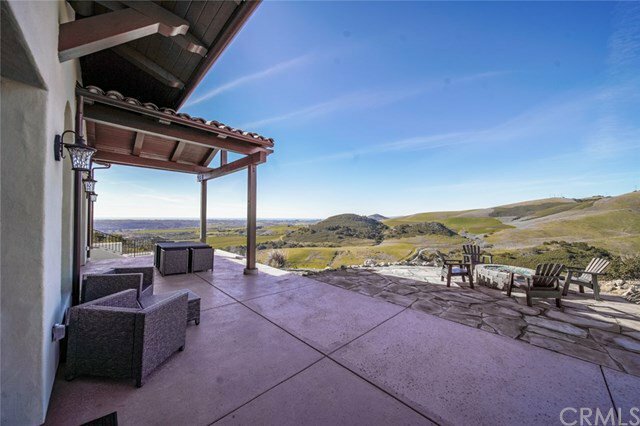 Spectacular Spanish Hilltop Retreat with mesmerizing panoramic Ocean, Laetitia Vineyard and Rolling Terrain views, nestled in exclusive Rancho Nipomo. 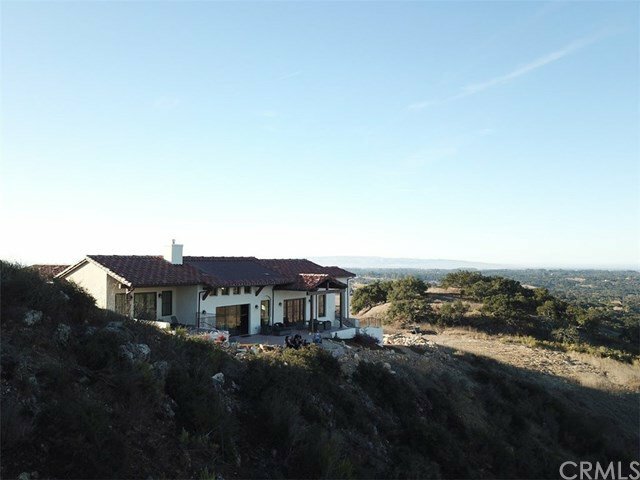 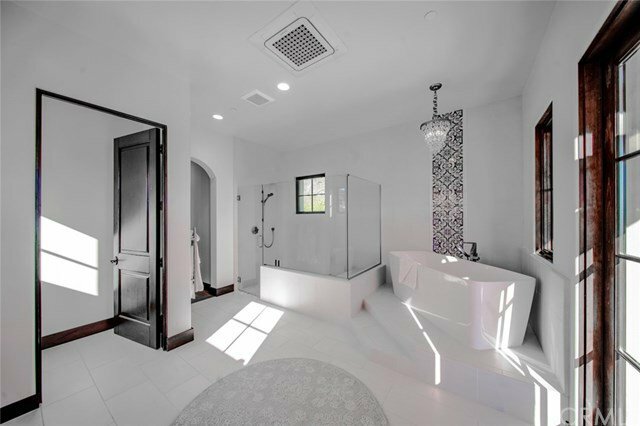 Completed in 2018 this 5 bedroom 4 bath home radiates design, functionality and warm natural lighting. 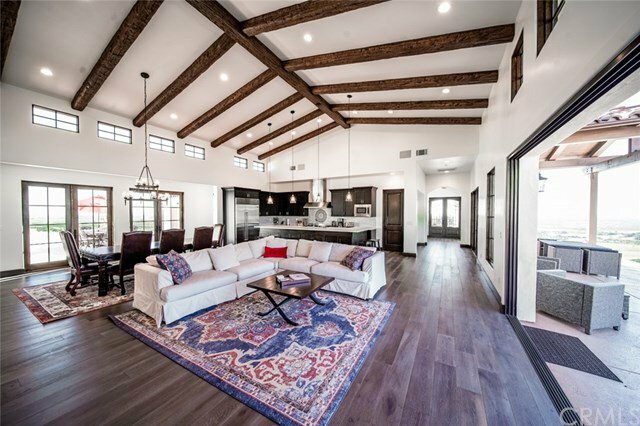 Spacious open area Kitchen and Living area with high beamed ceilings, transom windows, hardwood flooring, stacked stone gas fireplace complemented with adjacent patios each with fire pits, provides a feeling of relaxation. 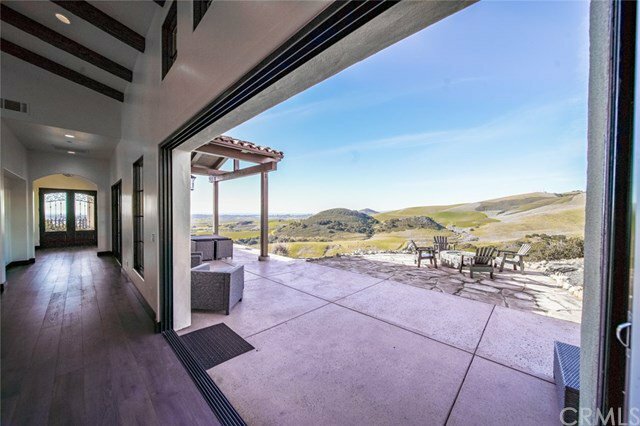 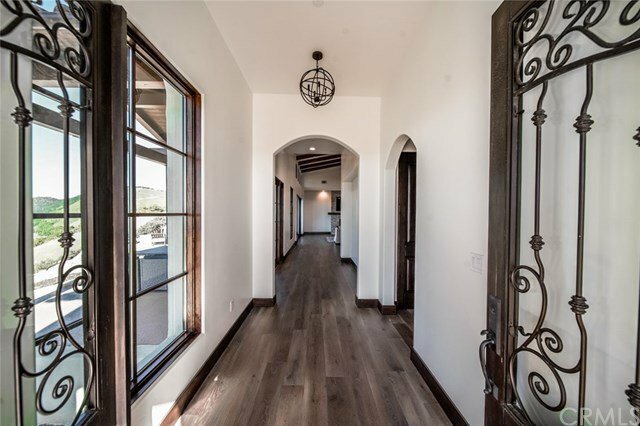 The Custom 3 Glass Panel Pocket Slider Door welcomes the outdoors from the Living area. 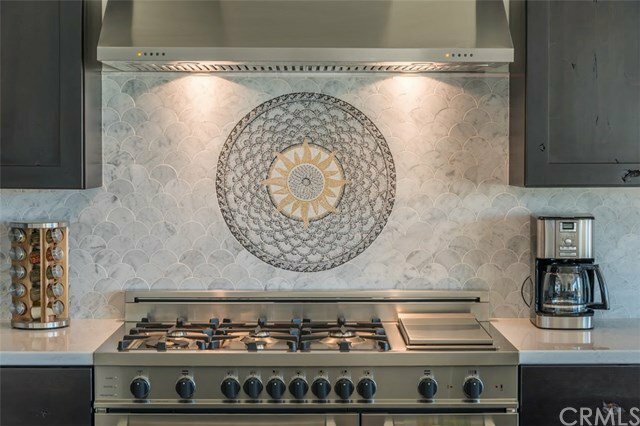 Gourmet Kitchen is appointed with soft touch solid wood cabinetry, stone countertops, scalloped tile backsplash and custom tile emblem. 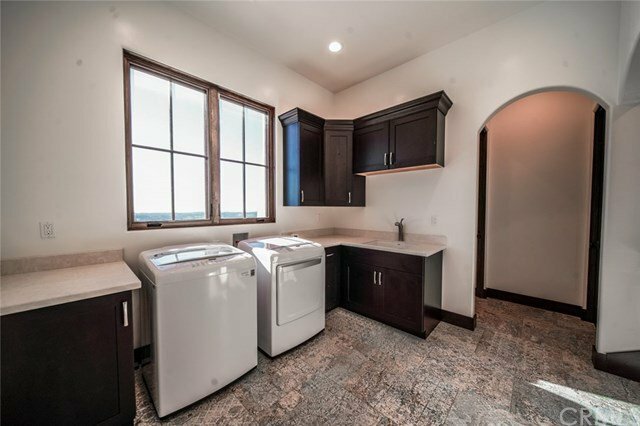 Upscale appliances includes sub-zero fridge & 6 burner stove. 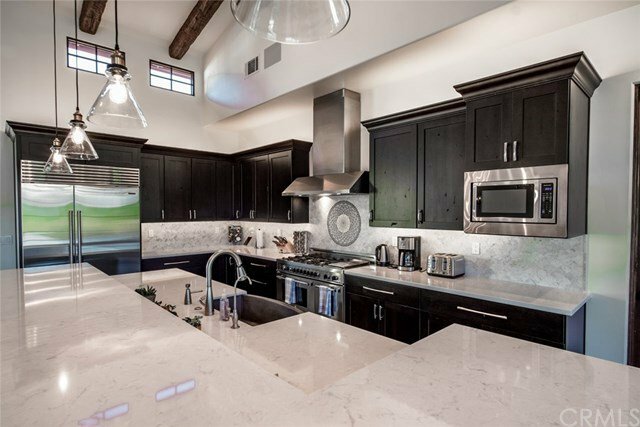 Wonderful Kitchen Island accented with pendant lighting, sink/prep space and seating for six with supplemental wine fridge. 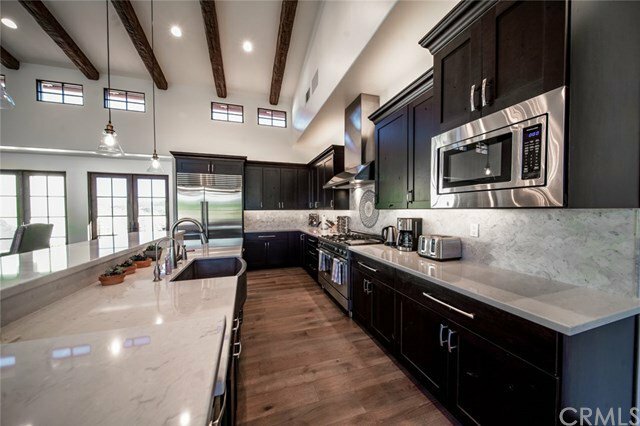 Walk in pantry supports the Chef. 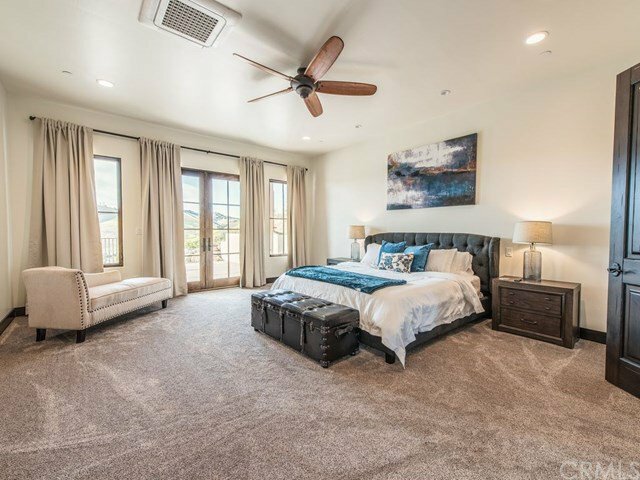 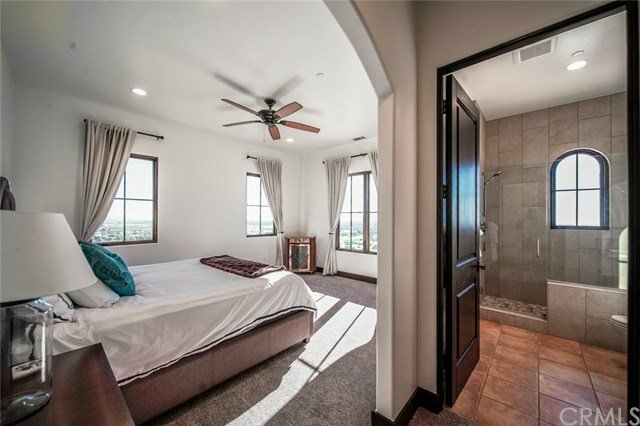 The large Master Suite beholds a private patio area with captivating views. 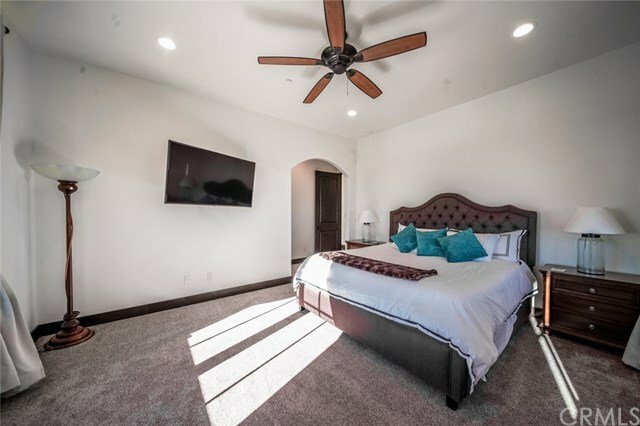 Walk in closet off hallway, separate the beautiful Master Bath that includes large walk in shower, free standing soak tub adorned with dual sink counters. 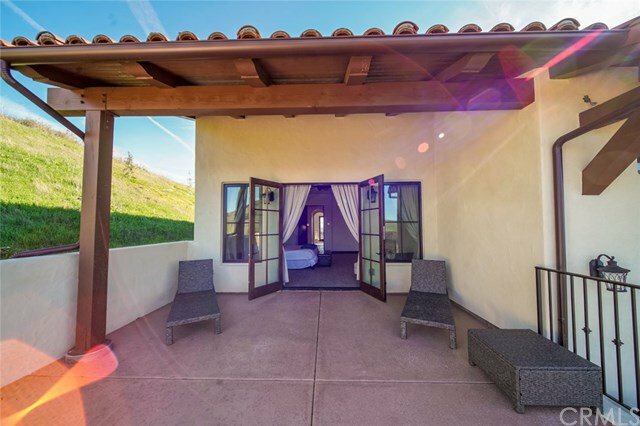 Three Bedrooms off the Living area, enjoy expansive views, walk in closet and private beautiful en suite bath with towel warmer. 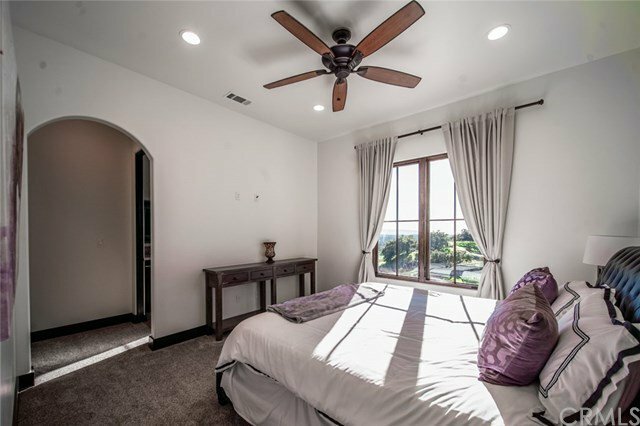 The 5th bedroom could also serve as a quiet multi-purpose space. 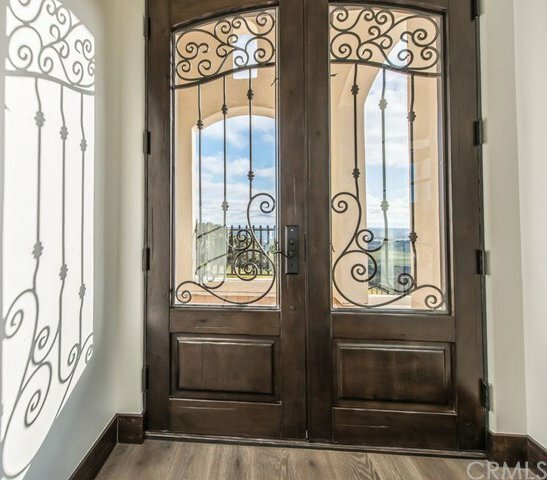 An elegant temperature controlled Wine Closet preserves those fine bottles. 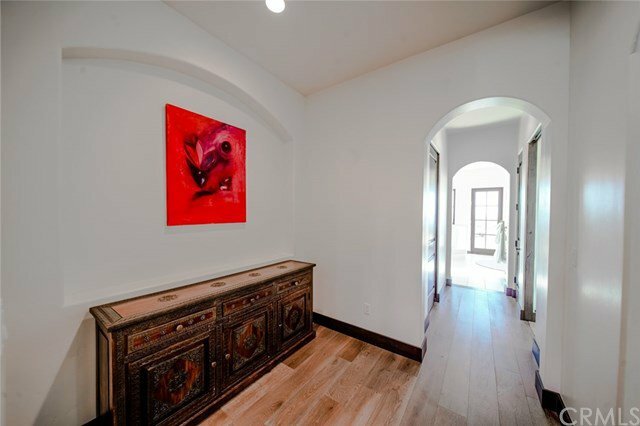 For the most discering Buyer, call your REALTOR® today!